Mental Health First Aid is an evidence-based public education and prevention tool – it improves the public’s knowledge of mental health and substance use problems and connects people with care for their mental health or substance use problems. Similar to traditional First Aid and CPR, Mental Health First Aid is help provided to a person developing a mental health problem or experiencing a crisis until professional treatment is obtained or the crisis resolves. People who enroll in local Mental Health First Aid courses learn a five-step action plan to help loved ones, colleagues, neighbors and others cope with mental health or substance use problems. 8 CEUs may be available. Must attend entire 8 hours of training to receive certification from the National Council of Behavioral Health. *Curriculum is POST Board approved for law enforcement. ​​Participants will learn 7 keys to leading Biblical support groups for individuals and families living with mental health difficulties and other challenges. These include support groups for individuals living with depression, anxiety, PTSD/trauma, bipolar disorder, schizophrenia, veterans support groups, support groups for survivors of suicide loss, and other supports for individuals and families affected by mental illness. Have you experienced life's trials, traumas, or tragedies? Do you desire God to use your experience to come alongside others who are traveling a similar journey? If you have recovered and have health of your own, consider taking this pastoral care support group leader training class. Participants must have a lived experience. Curriculum published by Saddleback Church. 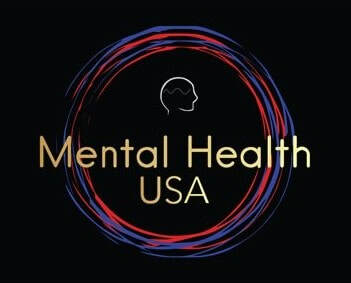 *Must attend all 12 hours of training to receive certification from Mental Health USA. New class to be announced on our website soon! Check back often and sign up for our newsletter to receive updates on upcoming classes. This training is designed for frontline staff and volunteers, those that would be among the very first persons to encounter someone who may be experiencing a mental health crisis. Open to ALL organizations, including churches, schools, businesses, etc. This training builds upon the skills taught in *Mental Health First Aid and focuses on scenarios and discussion which will help your organization establish a protocol that will allow you to be ready to help an individual in time of need. Learning how to talk with a person in crisis and how to collaborate with local community mental health service providers and partners, such as your mobile crisis line, in order to help the individual connect to the help they need is key to improving quality of life for the individual and for their family. We will work with your organization during this discussion in an effort to start thinking about how you will build a team/network that can work together to resolve these situations. Contact us to learn how we can help your organization be prepared for a crisis before the need arises. Class size limited to 30 participants. Sorry, no refunds given one materials are ordered. Class size limited to 30 participants. Sorry, no refunds given once materials are ordered.